CRATER Gold Mining (CGM) announced its plans to operate hand held mining methods at its project site in Eastern Highlands Province of Papua New Guinea during a meeting in Sydney last month. CGM’s managing director Greg Starr made the announcement to inform the firm’s shareholders on progress with its plans to commence production. 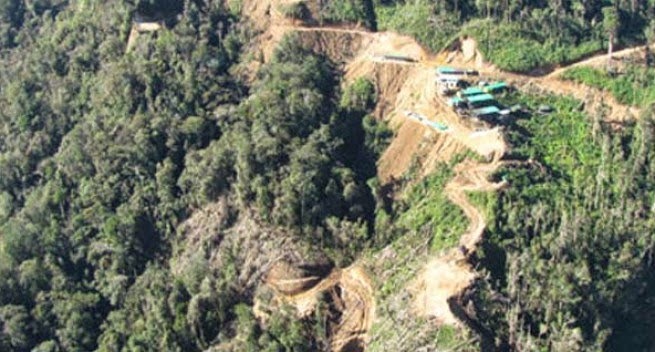 "The high grade zone is earmarked to commence gold production subject to the outcome of the mining lease application. "These submissions were based on the results of mapping and sampling of an underground development drive and associated crosscuts excavated to explore the high grade gold mineralisation," Mr Starr said. He also said the company has reported the results of 14 diamond drill holes at sufficiently close spacing to give confidence to geological and structural interpretation to enable modelling for a maiden resource and the conduct of detailed mine planning. An application for a mining lease was lodged with the Mineral Resource Authority (MRA) and an environment permit application was also submitted to the Department of Environment and Conservation (DEC) in May this year. CGM’s executive Richard Johnson, during a phone interview, told the Post-Courier that MRA is currently carrying out technical assessments enable the Mining Advisory Council to approve the company’s application. "We’ve also faced major logistical difficulties in transporting machinery and establishing operational infrastructure at the site because there are no proper roads to the project site, but it should all go well as soon as we get our documents approved by the relevant authorities," Mr Johnson said. Meanwhile, rail and underground rail trucks are already on site to be installed ahead of mining. The plant will involve gravity concentration through crushing and milling with a wet hammer mill and a centrifugal concentrator.